So far, the remains of 19 of the 52 airmen onboard the C-124 Globemaster II cargo plane that crashed in the Chugach Mountains have been identified. 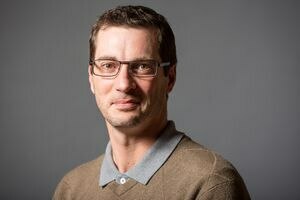 Eight years after being told by national park rangers that he couldn't use a hovercraft on a river within the boundary of the Yukon-Charley Rivers National Preserve, an Anchorage man's court case is headed to the U.S. Supreme Court. A bear outside a public-use cabin on Berg Bay in Southeast Alaska didn't take too kindly to being pepper-sprayed, and vented its frustration on a traveler's kayak. The booms that rattled windows across Anchorage just before noon Tuesday were due to explosive ordnance training on JBER. Joe Carrillo, of Wenatchee, Washington, bid on 85 parcels of land in the state's last over-the-counter land sale and won 60. But he paid for just one and escaped a fee of about $29,000 for the rest of his bids. Sonic Corp. said it will offer indoor seating at its Alaska restaurants as it builds 10 locations throughout the state in the next seven years. Krispy Kreme's first Alaska store is set to open in 2016 in a new Muldoon building that will also house a BurgerFi restaurant and a Body Renew gym. More than 500 people gathered outside the 3rd Wing Headquarters on Joint Base Elmendorf-Richardson to remember and heal. The vast majority of Alaskans will be $2,072 richer when they receive their Permanent Fund dividend checks from the state next month, an amount unveiled Monday morning at an event hosted by Gov. Bill Walker. 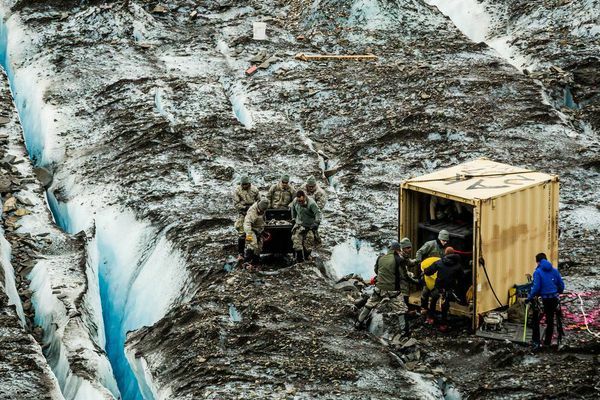 The Defense POW/MIA Accounting Agency said it knows the identity of remains found on Colony Glacier in June 2014 but can't tell the families of those killed because it lost jurisdiction over the recovery efforts.